Mmmmmm ribs. We think these custom eco awards / trophies for the PNE RibFest competition turned out really well. The have been handcrafted from sustainably sourced (FSC wood supplier) Douglas Fir and printed in full colour on all four sides. Our UV flatbed printer can print full colour on any of our awards. This is a unique machine that is technically more advanced and versatile than old fashioned engraving machines (etching only). 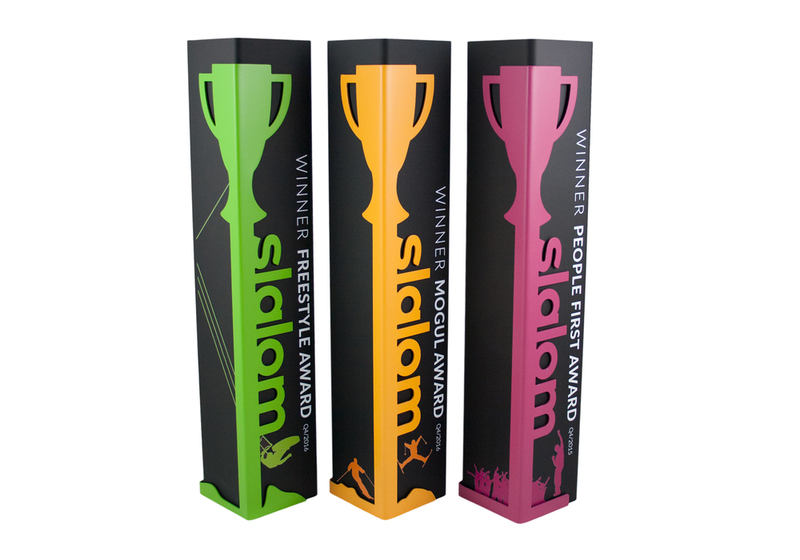 With full colour capabilities you can be assured to receive only the most unique custom trophies, awards and gifts. Looking to add a subtle detail to your awards? Perhaps a sub-graphic or something that looks like a UV spot varnish (from the print world). We have a new Roland LEF-20 that can add a clear to your awards. Any vector graphic can be printed and we can layer up the clear to make the print tactile (embossed). Ask about this unique service when ordering. We just finished these beauties! We just love these. We had the pleasure of working with an amazing, talented and creative designer at Slalom Consulting. This design was based on our 'modernity' style awards but, the designer customised our design so beautifully. It was a great pleasure bringing such a fantastic design to life. We used our UV flatbed printer to add the graphics to the awards. We then CNC cut a 3d logo out from 1.2mm aluminium, hand folded into shape, spray painted and then affixed them to the awards. 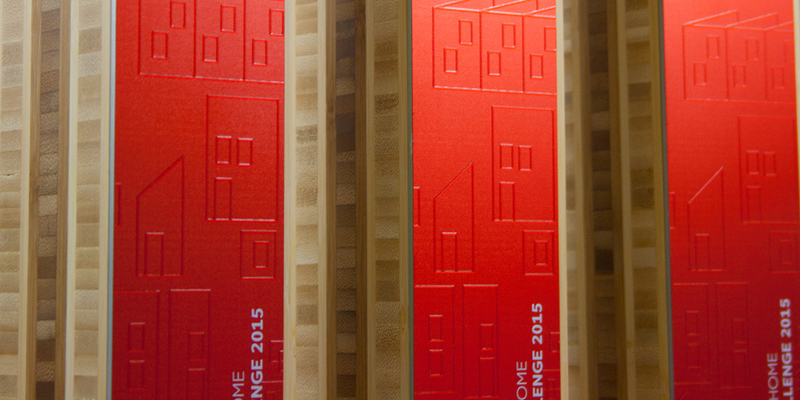 We were given a short timeline (2 weeks) to design and create some awards for GAP Clothing. The brief was to create something less corporate and more 'crafty'. The result was these amazing string art awards that were custom designed and handcrafted to represent the textile industry. We used embroidery string for the centre feature and finished the inside and outside of the award in denim fabric. A tactile textile finish was contrasted against a minimal anodised aluminium finish to create a modern look.